After a long seasons use, your furs definitely need to be rejuvenated and stored in a cool environment with governed humidity levels, to prevent the premature drying of the pelt, preserving the natural oils in the skins. Charisma Furs encompasses a special storage vault that protects your garments from moths, fire and theft during the non-wear seasons. 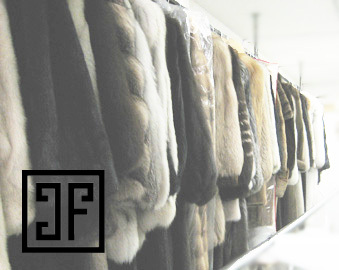 With over 30 years of expertise in the industry, Charisma Furs encourages the cleaning of your furs regularly. Depending on how often you wear your furs and so forth, we recommend cleaning them once a year, or at least every two years. Fur that is exposed to heat and humidity will be slightly stiffer as it ages. The natural oils dry out and will eventually lead to cracking of the leather and excessive fur loss due to shedding. Cleaning your furs will protect and restore the natural lustre of the fur and wool by removing any dirt, salt and oil that can accumulate during a normal season’s use. 196 Spadina Avenue, or call for a free pick-up within the GTA.